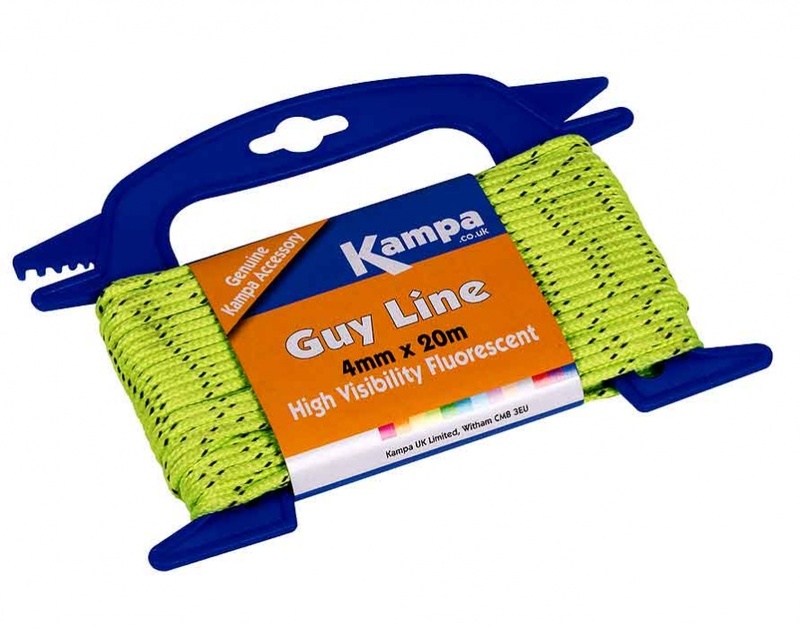 The Kampa Reflective Guy Line comes on a handy spool and is an essential addition to your camping kit, an ideal spare for replacing broken guy lines or for adding extra stability to your tent or awning when required. Kampa's Reflective Guyline is a reel of uncut guyline you can cut to the length you need for your tent or awning. The Reflective colour aids guy line visibility in low light conditions. Handy to have in your bag in-case any possible replacements are needed.